Dana Denis-Smith founder of the First 100 Years project and CEO of Obelisk Support talks about the creation of the First 100 Years project and how it aims to inspire future generations of women through a digital museum reflecting the history of women in law. I founded the First 100 Years project in 2014 because I believe that history will hold the key to how the future will shape up for women in the legal profession. That once they understand how it all began, fewer than 100 years ago, they will use the pioneering work of the first women lawyers to lift those last barriers left in the way of their access and progress in the profession and claim this century as their own. It is easy to dismiss the role of history in the age of technology. Why look to the past if you want to change the future? To me, the answer is simple - we need to learn from men in how they, generation after generation, strengthened the foundation on which they built their careers. Cast your mind to the profession’s buildings - grand portraits hang in the halls – from the Law Society to the Inns of Court – and coherently chart the history of men in the legal profession over hundreds of years. They tell of imposing, confident, impressive individuals that have been some of the country’s leading names in law. Not so for women – however confident, achieving, impressive and successful their story, it is seldom written in canvas and oil as few of them have risen to the top. It is high time that this should change. 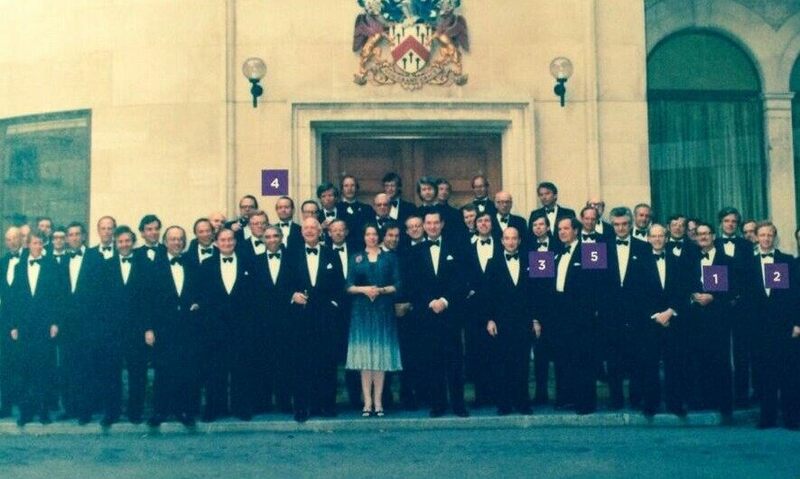 The First 100 Years journey began with an image from 1982 – that of one woman surrounded by a group of 50 or so male partners at a party marking the 100th anniversary of one of the City of London’s best known law firms. I was fascinated to understand how it felt to be the only woman and what her personal journey in the legal profession had been. The ‘First 100 Years’ is a video and oral history project born from a desire to look at the issue of diversity in a different light – from a historical perspective. The aim of the First 100 Years project was ambitious and clearly defined from the outset: a 5 year project (2014-2019) to create the world’s first digital museum dedicated to the journey of women in law. It would include 100 video personal stories as well as hundreds of digitised artefacts and exclusive content to chart our own journey in the legal profession since 1919 to the present. Due to its scale, project has now spun out of Obelisk Support into its own charitable status as it is building the largest collection of stories, artefacts and records of the journey of women in the profession over the past 100 years. The project is entirely run by a team of volunteers that are giving their time and expertise for free in order to change the way the diversity debate is framed for the current and future generations of lawyers. There’s no doubt that as I reflect on our year since the official launch at the House of Lords in 2015, we have achieved a lot: we have a great following on social media, have acquired partnership from all of the main legal bodies (including the Law Society and the Bar Council), we filmed a dozen films, from Baroness Hale, the only woman on the Supreme Court, to June Venters QC, the first woman solicitor to take silk; we involved men to tell us the stories of the women that inspired them to be lawyers – ITV’s deputy GC Barry Matthews’ touching reunion with his magistrate teacher – “in truth”, Barry told the project, “I wanted to be Mrs Foote”. John Steel QC spoke on the influence his barrister mother, who passed down her wig for him to use, and which he still wears today – “my mother, she’s still here”, he told us. There’s something empowering about understanding one’s history and celebrating. Although the family tree for women in law goes back less than 100 years, it is for us all to bring each piece of the puzzle we possess to make the picture complete. If not for our sake, for the sake of the next generation of women in law who need to build on the confidence of the past to secure an equal future. The project seeks to record as many factual stories as possible in order to have a comprehensive picture of the barriers overcome by women in the profession. You can take part by sharing your story or the story of people you know here and be a part of history right now. Diversity and Inclusion are important within LexisNexis; we have an active Diversity and Inclusion Forum and are a Stonewall Diversity Champion as well as an Investor in People. Click here to learn more about the diversity and inclusion initiatives we support in the UK.